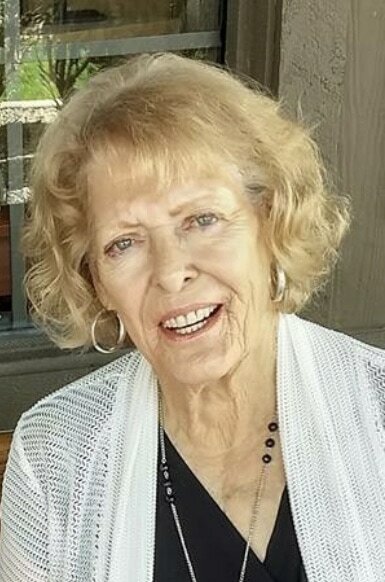 Lois Charlene “Char” (Randall) Bryan, of Apache Junction, AZ passed away at her home at the age of 81 on October 14, 2018 after a short battle with cancer. She was born to Wesley Alexander “Jack” Randall and Mary Mable (Coe) Randall on March 16, 1937 in Monte Vista, CO. Charlene, the beloved wife of George W. Bryan, together made their home in Ignacio, CO where they raised 5 children. Char was an intelligent, compassionate and strong woman. After having her children, she drove from Ignacio, CO to Farmington, NM to Beauty college. Upon completion, she then opened her own salon, House of Beauty. She enjoyed school activities that her children participated in and was a strong community leader. Through her lifetime, Char loved geography and traveling to many states and countries. She was an avid Angler and once landed a record holding German Brown Trout. She was always on the go, not long to sit, cooking, planting, decorating and many numerous other activities. She enjoyed 4-H with her children as well as sewing, crocheting and knitting. Charlene and George moved to Bloomfield, NM in 1980 where she relocated her beauty business under the name of the Rio Vista Salon. Char lived in Oklahoma, Colorado, New Mexico and retired in Arizona with her husband. She was an active member of Hi-Way Baptist Church in Mesa, AZ. Charlene is survived by her children, Rebecca Anne Nordeen of Grand Junction, CO, Timothy Reanan Bryan of Durango, CO, Treva Lee Heikkinen of Farmington, NM, Wesley Todd Bryan of Parachute, CO; brothers Tom Randall of Rush Springs, OK, Bud Randall of Saucier, MS, and Jack Randall of Enid, OK; and sisters Carol Morgan of Austin, TX and Grada Randall of Lebanon, OH; 13 grandchildren, 18 great grandchildren. She is preceded in death by her husband, George Washington Bryan; son, Charles Randall Bryan; brother Wes Randall of Beau Bridge, LA; sister Wyoma Richards of Pagosa Springs, CO and baby sister Mary Frances Randall. Charlene was entrusted to Superstition Funeral Home in Apache Junction, AZ. Her family will hold a memorial for her and her son early summer high in the San Juan mountains of Colorado where they held George’s memorial.